Gas2 provides very interesting additional information on Tesla Model E for the mass market of electric cars. Launch of this model will bring electric cars to the masses and will make the electric revolution for real. Tesla Gigafactory will address the cost of the Lithium Batteries, which will go down more than 30% with the mass market production. Elon Musk gave new details on the upcoming Tesla Model E, which will be 20% smaller than the Model S and have a 48 kWh battery good for 200 miles. But can Elon really make a mass-market, 200-mile electric car that costs just $35,000? That’s the hard part, though Musk has remained confident that he can deliver an affordable electric car with a 200-mile driving range. These new details suggest that the Tesla Model E will be all the way around 20% smaller than the Model S, backing up my assertion that a recent study claiming the Model E will be close to $50,000 is flawed. The Tesla Model S is a big car all the way around, and lopping off 20% of it results in some sizable savings, primarily in terms of weight. The 60 kWh Model S weighs in at a formidable 4,464 lbs, while the 85 kWh Model S comes in at an even heftier 4,647 pounds, a difference of about 200 pounds. Figure another 200 or so pounds of weight loss dropping the battery down to just 48 kWh, and you’ve already got a nice chunk of weight savings off of a battery estimated to weigh between 1,300 and 1,500 pounds. That said, the Model E is likely to still come in at or close to 4,000 pounds, even if it really is 20% smaller than the Model S. That figure probably has more to do with the size, rather than the weight of the Model E, with a smaller cabin, front, and rear-end. It also stands to reason that the Model E could even be a front-driver, which help make it even smaller. Following up one of the best cars ever built, electric or otherwise, won’t be easy though. As far as the battery pack is concerned, a 48 kWh pack should theoretically be good for at least 150 miles of driving with today’s technology. 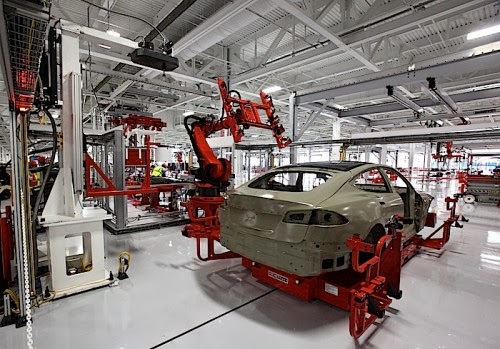 Give Tesla another few years (and the proposedbillion-dollar Gigafactory), and battery prices should go down even as the technology continues to improve, just in time for the Tesla Model E to make its long-awaited debut."